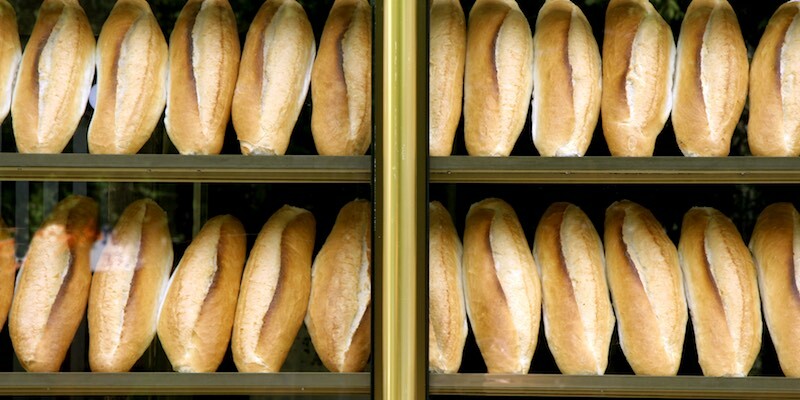 You Asked – Where Are Food Shops In The 13th Arrondissement? We will be staying for a week in mid-October at the Villa Lutece Port Royal, 52 Rue Jenner. Could you tell me how to locate nearby grocery stores and wine shops? I emailed this question to the hotel but did not receive a reply. The culinary world will be your oyster with your great location at Villa Lutece Port Royal. Although technically in the 13th Arrondissement, the Villa Lutece is close to many wine and marchés (grocery stores) in the 5th Arrondissement. Not to mention the fabulous, famous food street of Rue Mouffetard in the Latin Quarter. Rue Mouffetard was the favorite shopping street of none other than Julia Child. 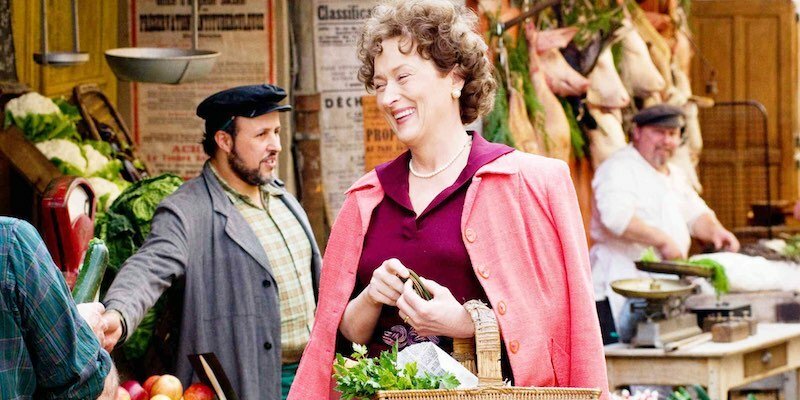 (The photo shows Meryl Streep playing Julia.) From your location you probably won't get your daily food items there, but it should be a must-see on your Paris things-to-do list. Okay, let's go back to Villa Lutece Port Royal and food shops in the 13th. There are several boulangeries nearby, starting with La Vitalle at 113 bis, Boulevard l'Hôpital, which is a mere 85 meters from your hotel's front door. There's also Boulangerie Renard, also at 113 (not bis) Boulevard l'Hôpital. (It's not the same place. The bis means it's the next building.) . Thierry Renard (that's "fox" in French), the owner of Boulangerie Renard, makes some of the best buttery croissants in Paris at his petite boulangerie in the 13th. In fact, his croissants won the Best Croissant Award for 2010. He also makes beautiful naturally-leavened bread as well a wide selection of pâtisseries. This could be your best and closest boulangerie. Let's talk about grocery stores. In Paris, where there is a boulangerie there is usually a small to medium grocery store nearby. Many of the supermarchés are petits, yet carry a wide variety of produce, cheese, personal care products like shampoo and beverages including wine. Most are open daily with one weekly closing, usually a Sunday afternoon. Located nearby at 107 Boulevard l'Hôpital (close to Boulangerie Renard) is Corelis, a grocery store with gourmet food, wine, and snacks. Further down, at 54 Boulevard l'Hôpital, is the nearest Monoprix. These full-service department stores usually have a large grocery floor with everything you could need, including a large selection of wine. They are also fun to shop in for scarves, souvenirs and, in a pinch, a hammer or screwdriver! Boulevard l'Hôpital will become your go-to street for food shopping with boulangeries, grocery and wine stores. Also nearby is a Nicolas, a wine store chain found throughout Paris. The nearest one to the Villa Lutece Port Royal is at Chai 24, Cour St. Emilion, a pleasant 25-minute walk away to the area called Bercy, in the 12th Arrondissement. 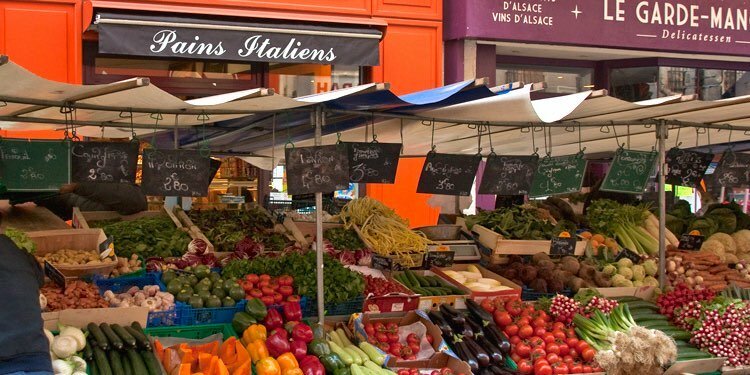 In addition to food shops in the 13th, if you're interested in the street markets (the open-air food markets), and want to go beyond Mouffetard, take a 30-minute walk (or hop on a bus) to the Marché Aligre, near Bastille in the 12th Arrondissement. It's a bustling street market filled with produce stands, two seafood shops at one end of the street, and a covered market at the other end. The covered market at Aligre is one of the last in Paris. It's filled with meat vendors, cheese, deli items, and flower vendors. You'll also notice that it's not filled with tourists — it's shopped by locals looking for their daily groceries. As you can see, we're passionate about food and Paris. We'd also like to mention that since Villa Lutece Port Royal is so close to Jardin des Plantes, make sure to spend a morning there at the Grand Galleries and the zoo.